Are your sleeves fitting too tight? Then you'll need to do a Sleeve Width Adjustment to your pattern. In this tutorial I'll be showing you how to add extra cm's to your sleeve width without adding extra to the sleeve head. Is your shoulder line falling off your shoulders? 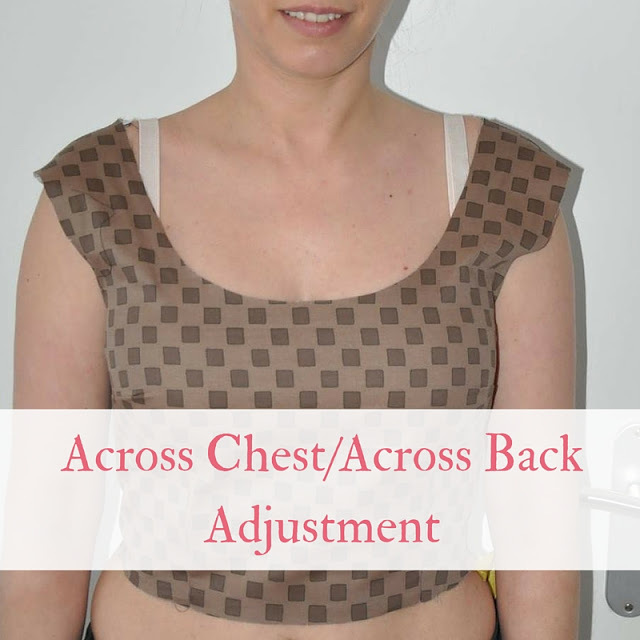 If so, your neckline and shoulders are too wide and you need to do an Across Chest & Across Back Adjustment to your pattern. MAKE A TOILE/MUSLIN FIRST of the bodice or dress to nut out any fitting problems. That way there will be no tears at the end and another outfit thrown in the corner because it doesn't fit. What the heck is an FBA, I hear you say? Well, today I'm going to teach you what it is and how to do it. The shoulder adjustment is usually needs to be done to a bodice or dress with a sleeve. 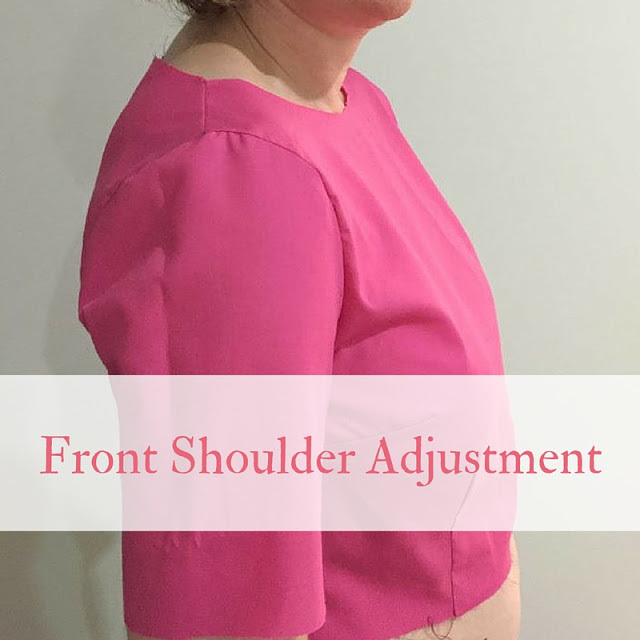 It needs to be done if your shoulders rotate to the front which causes the shoulder seam sit to the back and also the sleeve will have a lot of dragging and it won't sit very well.